As you may have read from my last post, I’ve never been to the Notting Hill Carnival. I took my husband and my little boy with me and we had a great day. I recorded the experience with the very impressive LG G3 mobile phone. Now, those who know me, will know that I’ve never got on with Android phones. Because of this, I’ve always avoided them and preferred an iPhone or a Nokia Windows phone. 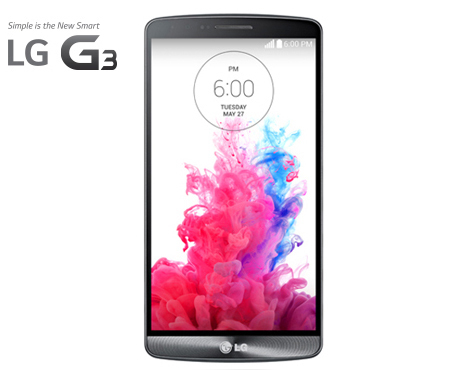 So when I was asked to review the LG G3, I wasn’t too sure what to think. I didn’t have expectations like I would do if it were an iPhone but I kept an open mind and I’m very glad I did. Where to start with this phone?! I’m going to start with the battery life, because it left me gobsmacked! Before I’d even gone to the Carnival, I wanted to see if it could last. I watched two movies on Netflix, just shy of four hours and I had fifty percent left. You heard me…FIFTY percent!!! Impressive, right?! I don’t think I’ve even got through a film on my iPhone. SO that was a huge surprise. It lasted all day when I took it to the Carnival and still had some juice left. Easily the best battery life of any phone I’ve experienced. The next impressive part of the phone was the quality of the camera and video. The phone boasts a 13MP camera, above average for the market. The quality of pictures are great and on the very impressive 1440 x 2560 pixel resolution screen (that’s 4 times the iPhone 5 screen by the way), the pictures are sharp and vibrant. Videos are also smooth and full of colour! The user interface is straight forward and you can toggle between a touch to take and manual focus settings, very easily. The carnival, as you can imagine, was brimming with colour and frivolity and the LG G3 camera capured this all beautifully. See for yourself! There are so many cool extras on this phone and one of them is the ‘selfie mode’. OK, so it’s a bit of a gimmick, but to be honest, it has come in handy a few times, especially walking around Notting Hill and wanting pictures with my lovely boys. You basically hold your hand out flat towards the screen, then when you’re ready, make a fist and it will count down from three and then it’ll take the picture. All without having to touch the screen at all. Very cool. My three year old had a field day with that feature. It also just goes to show how easy it is to use. Another of my favourite features is the Knock Code. You simply create your own tap code to get into your phone. The genius part is that you don’t even have to wake the phone to log in. So long as you’re tapping the correct sequence, the phone will log you in. Also, you can do this anywhere on the screen. If a knock code isn’t your thing, you can choose to draw your code or go really old school and create a PIN number. Both the knock and drawn codes are backed up by a numeric pin which makes the phone even more secure. Finally, another stroke of genius from the LG guys is the ‘guest login’. This comes especially in handy for any parents out there that don’t want their children to make those embarrassing calls, but would like to give their phones as a distraction. As I said, my son is three and is able to use this feature so easily. Not only can you create their own personal login, you can specify what apps they have available to them and they can even choose their own personalisation. It’s quite similar to kids corner on the Windows phones, however 1. it doesn’t have to be for kids and 2. it’s actually built in as part of the phone and not an app, so it works seamlessly. Overall, I am struggling to find fault with the phone. Any niggles I’ve had have been with the Android OS and not with the phone or any of the LG add ons. Size wise it is a larger phone, but I like that and have got used to it, very quickly in fact. Another quirky addon from LG is their circle screen which activates when in a circle cover/ case. When the screen is tapped, you can see the time, even when the case is closed, but swipe the clock and you can choose from a number of ‘circle apps’ which will work within the circle, again, when the case is shut. I installed a couple of games and useful tools like flashlight that don’t require me to unlock my phone. Again, a little bit of a gimmick, but a useful one. A great day at the Notting Hill Carnival. Needless to say, we were shattered by the end of it.